Get to know our client, Stephanie Watson! 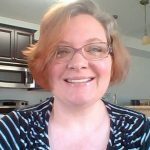 Stephanie has more than 20 years’ experience working from home in a variety of roles such as HTML Website Designer, Internet Marketer, WordPress Template Bender, and Virtual Assistant. Today, Stephanie is an author and content strategist who organizes, plans writes and implements content strategies for small business owners. For the last 10 years Barry Publishing has been solely devoted to content marketing efforts for small business owners. I’ve seen the businesses that I work with go from zero to six figures, plus. The thing is, it’s not magic. It’s all about creating content based on your audience’s buying cycle, your marketing funnel, developing useful content upgrades, and delivering excellent content across all platforms on a regular and consistent basis. I love that I can lead business owners to this type of success through something as simple as content marketing. Nothing is more exciting than to see my clients earn more money as a direct result of the content that I created for them. That’s why I am devoted to content creation and marketing. When a business owner develops the right content for their audience it makes a huge difference. The great thing about content marketing is that It works regardless of the last or next algorithm change. With the right plan, amazing things happen all because of content marketing. I work with clients all over the world and I need a reliable hosting service for all my websites. I rely on my website to bring leads and build my email list. My website is my storefront and it needs to be open all the time. I don’t worry about the technology at all because I know Mom Webs has my back. It doesn’t matter what time of day it is, it seems that Scott from customer service is there to help. I’ve used other hosts in the past 20 years before I went to Mom Webs, some big name ones, but I have never received such amazing assistance from anyone else. That’s why I’ve stuck with Mom Webs for all my hosting needs and recommend them to clients, colleagues, and friends for so many years. Mom Webs is amazing. I trust them so much I no longer use anyone else.